Constructed with heavy .020 gauge vinyl, our Classic Heavy Duty is our premium bag, featuring a leak-resistant interior bioplastic layer. This bag is constructed with six nylon reinforced handle and is OSHA approved. Our Classic Heavy Duty comes with a dual envelope-style zipper, 3 identity tags and is available in three colors (black, white & orange). 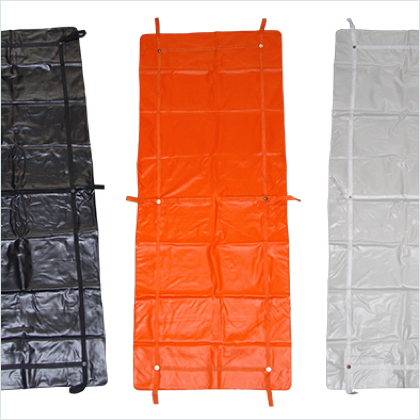 Manufactured using a heavy gauge polyethylene material with a polyester laminate, our JUMBO has unmatched strength. A medium-duty workhorse, our Classic PEVA comes in two sizes, 40"x96" & 31"x49". Our newest product, Classic PVA is a versatile water soluble body bag with a straight zipper.